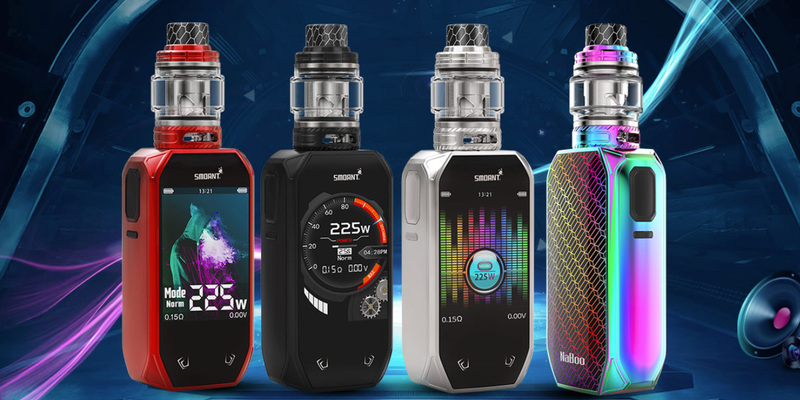 Smoant has released the Naboo Kit. It included a 225 watt box mod, equipped with a color interface with a music mode, and a 4 ml maintenance-free tank. 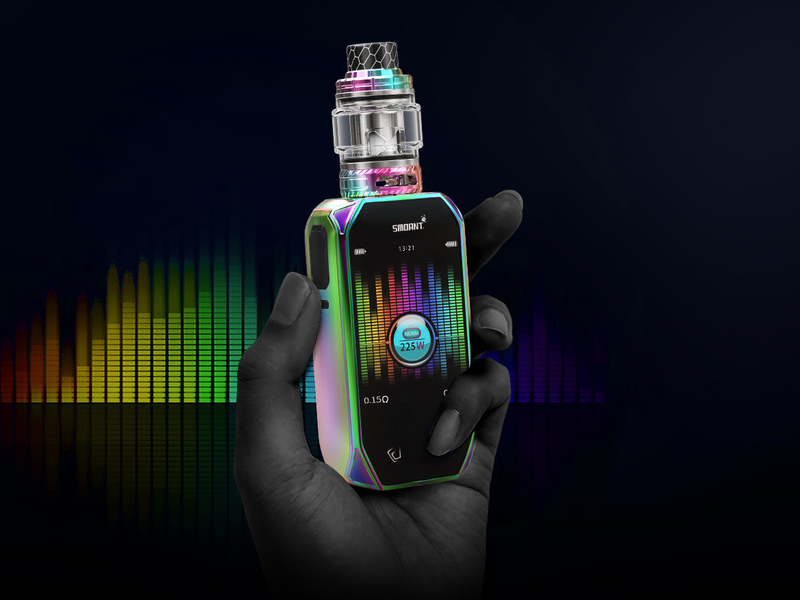 September 12, the company Smoant presented on the Facebook page the Naboo Kit . The body of the box mod is made of zinc alloy, in a rectangular shape with cut corners. The choice provided four color variations. Most of the front side was taken under the color display. Below are two touch buttons. At the end set the fire button and lock key. The opposite side was provided with a USB port. The battery compartment is located behind the removable magnetic cover. The device accelerates to 225 watts and responds to pressing the fire button in 0.015 s. In addition to the version and thermal control, the board allows you to customize the visual design of the menu, and also supports a music interface, the developers of which did not specify the essence. Power is provided by two 18650 batteries, they should be charged via the USB port with a current of up to 1.5A. 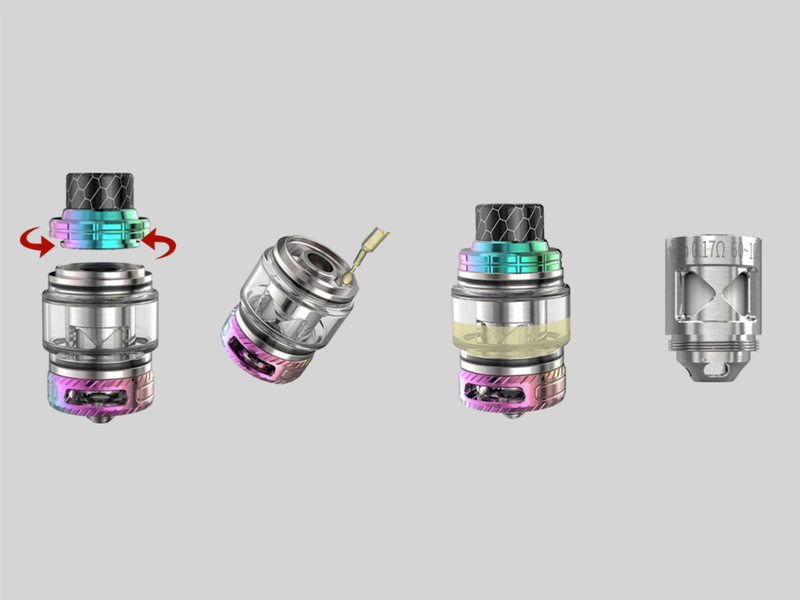 The tank is equipped with a pair of “grid” evaporators on Japanese cotton, with a resistance of 0.17 and 0.18 ohms. On the twisting topkep, there is a black 810th drip tip with a “cellular” pattern. Under the lid is a platform with filling holes. Bottom is an adjustment ring with diagonal notches. The volume can be increased from 2 to 4 ml. The package includes two evaporators, an additional bulb, a USB cable, a repair kit and instructions. Previous Previous post: Kanger Vola Starter Kit Review – Voila Vapor!